Slakoth in game: 5,953 Who? Important notice! 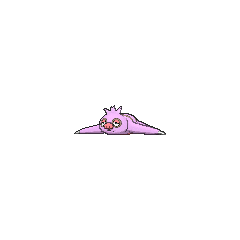 Pokemon Slakoth is a fictional character of humans. 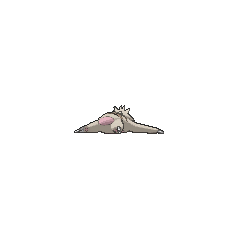 Slakoth lolls around and sleeps for more than twenty hours a day, which can makes those around it drowsy. Since it does not move very much, it does not need much food and only eats three leaves each day. Its heart only beats once a minute. It is capable of regaining lost energy through use of its former signature move, Slack Off. It makes its nest in forests, and keeps the same one during its entire life. However, it can travel far by swimming in rivers. 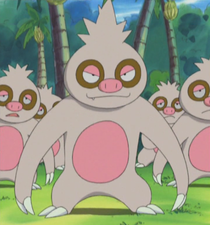 Norman's Slakoth appeared in Love, Petalburg Style and also in Balance of Power where it battled Ash's Pikachu and Ash's Torkoal. It proved to be a strong battler against Pikachu with its powerful Blizzard attack, but it lost to Torkoal. In The Garden of Eatin', there were many Slakoth who lived in the Banana Slakoth Garden. 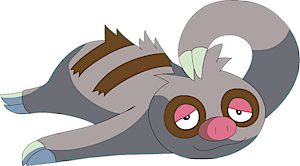 A Snorlax was eating all the bananas in the garden and no one was able to stop it until one of the Slakoth in the garden evolved into Vigoroth and defeated it. Slakoth first appeared in Max's flashback in Having a Wailord of a Time. In the Pokémon Adventures manga, Norman has several Slakoth that he used to try to stop Rayquaza from fleeing from its confines to little effect. 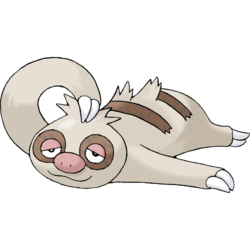 Slakoth is a combination of slack (to be lazy) and sloth. It is also a play on the phrase "to slack off." 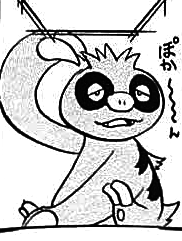 Namakero is derived from 樹懶 namakemono (sloth).